The Winter Olympics are Over and the Sox play on Wednesday. Smells like...... this bag hasn't been open in 3 months. That’s right, you can smell spring in the air and that can only mean one thing in New England… just two more snow storms till spring is actually here. It’s a great time in New England and people almost smile at each other. I arranged drinking buddies for Wednesday’s evening affair and Kayem Fenway Franks will be in the broilah. 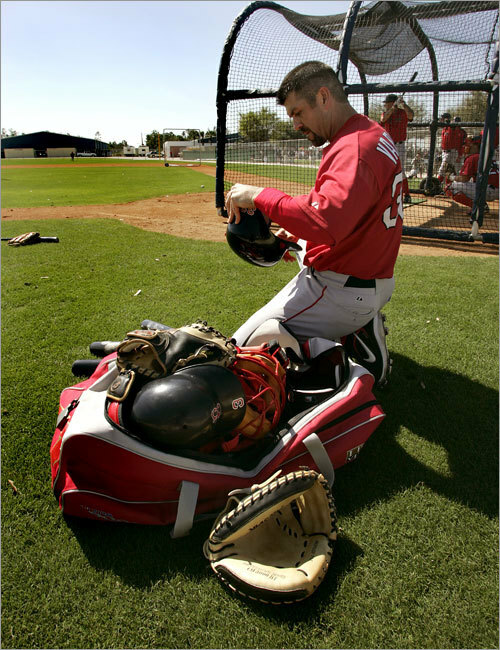 Thanks for everything Jason Varitek, but 2010 is about the new catcher taking over…Go Sox!